If your home’s bathroom has seen better days and it’s beginning to look very tired right now, you should see what you can do to make it feel a little more alive. There are so many modern upgrades you can make, but some are more impactful than others. It’s all about striking that balance between aesthetics and practicality in your bathroom. Read on now to learn about some of the modern bathroom upgrades you should consider making. It’s a nice idea to have a small corner of the bathroom that acts as somewhere to sit as you drive off after a shower or apply products. It could be something very simple like a rustic old stool or something a bit more elaborate. As long as it’s a furniture item that’s suitable for the bathroom, you should go for it. It’s a practical touch that will really work wonders for you. The layout of your bathroom is obviously very important because this dictates how you’ll be able to use it. If you feel like the layout is all wrong, it might be worth considering a big remodel if that’s something that you’re willing to pay for. There are plenty of good bathroom remodeling contractors out there that you can work with. So it doesn’t have to involve much work on your part. 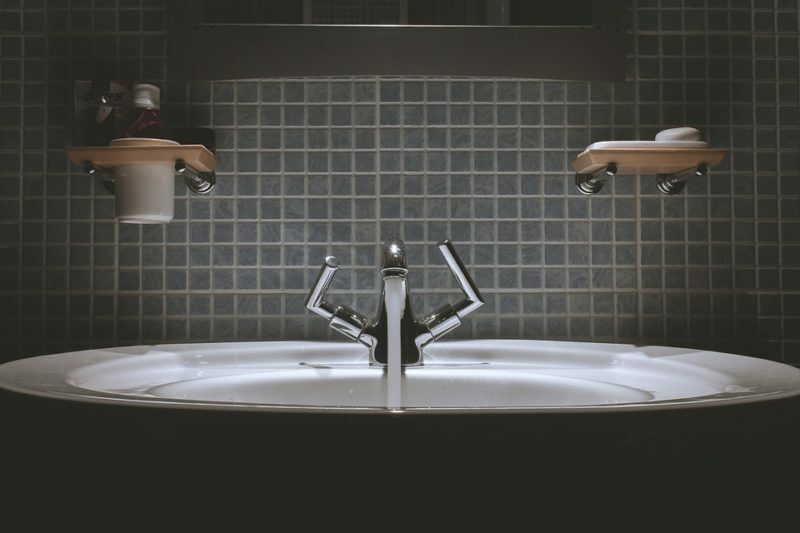 If you’re not too happy with the key fixtures in your bathroom but you can’t afford to replace them, it’s a good idea to replace the faucets instead. These are small and cheap, meaning they’re easy for you to replace. You should think carefully about how you do this. But if you get it right, you will find that you make your bathroom look more modern right away, and that’s definitely a good thing. A new set of tiles in your bathroom can instantly make the space feel fresher and more modern. It’s the kind of upgrade that has a big impact. You could stick to tiling the walls if you want, but going a step further and improving the quality, standard and durability of the tiles on the floor will also have a big impact on the room, so you might want to update these too. If you have an old vintage wooden dresser that you no longer have a use for, it might be a good idea to convert it into a vanity for your bathroom. It’s a nice project to take on and more and more people are doing this kind of thing with dressers. It’s something to consider at least. It’s definitely important to make your bathroom as modern and contemporary as it can be, but that doesn’t necessarily mean having to spend a lot of money. There are big money changes that could be very positive for you, but smaller upgrades can have a big impact on the room as well. What Makes The Perfect Neighborhood?